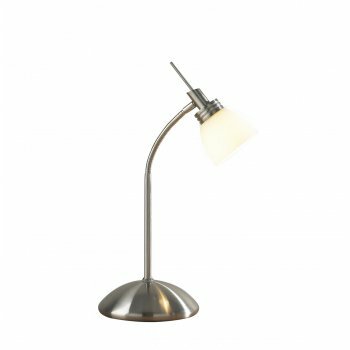 Dar Lighting Agean single light table lamp in satin chrome finish with opal glass shade. The product code for this Dar table lamp is AGE4046. This lamp is operated by touch to switch it on and off. Also available in an antique brass finish.